Its brand new office space may be simple but the problems being solved at Paytm Labs, are anything but; the Toronto office for the Indian-based payments app is in charge of making sure the app works perfectly for its more than 400 million users that span three countries. “Paytm is a fresh take on what the bill payments should mean in your life. It is supposed to be the most boring thing in your life and yet we made it interesting,” Harinder Takhar, the CEO of Paytm Labs tells ITBusiness.ca. He notes that with hundreds of millions of users the lab is always solving problems. “With 400 million people we have a lot of things to do for them to make their lives better. There are some problems that need more work before they are ready and those are the kinds of things we work on every day which is why actually we named this Canadian entity Paytm Labs,” he says. Paytm Labs is the brain behind Paytm which is an India-based ecommerce payment and digital wallet app that does more than you might think. Launched in 2011 Paytm’s mobile app is more than just a digital wallet, it allows users to make all types of bill payments, its a way for its 400 million Indian users to get loans, make investments and even buy bus, train, movie tickets and that’s just the tip of the iceberg. Paytm Labs solves all the technical problems that arise from its extensive India app, which deals with 20 million transactions a day. 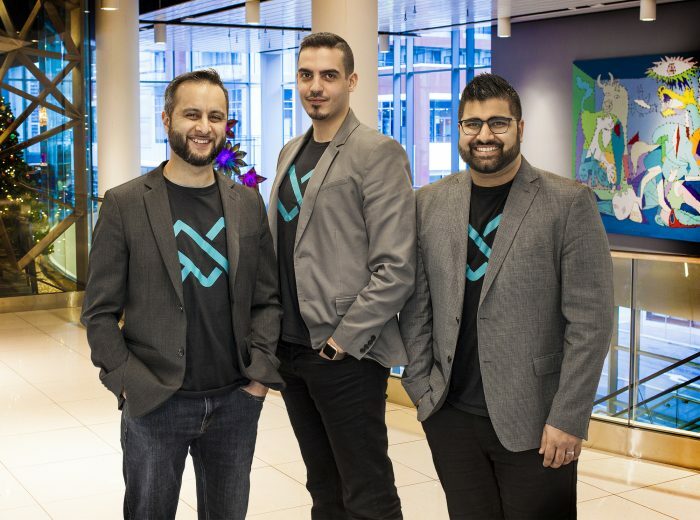 From making sure automatic reminders are sent to users when bill payments are due, to ensure there are machine learning algorithms to assess, in a matter of seconds, whether a user is fit for a loan, the lab does it all according to Takhar. He calls the Toronto team, which is Paytm’s only innovation lab, “builders”. 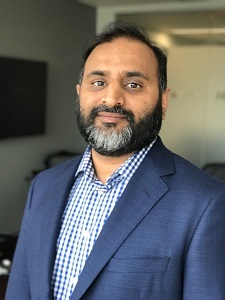 Takhar opened the lab in 2011 when he moved to the city and realized the available talent in the tech and financial industries that could benefit Paytm. As the former (and first) CEO of Paytm he knew exactly what problems needed to be solved for the app. He and one colleague, a second-year student at the University of Waterloo at the time, started working on solving technical problems that might arise from the app. They originally worked out of libraries but the lab quickly grew, moving into an 8,000 square foot office space, but it quickly outgrew that as well. “We had more problems to solve than the number of people we have,” Takhar states, noting that the Toronto lab deals with three different apps in three countries, India, Canada and Japan. 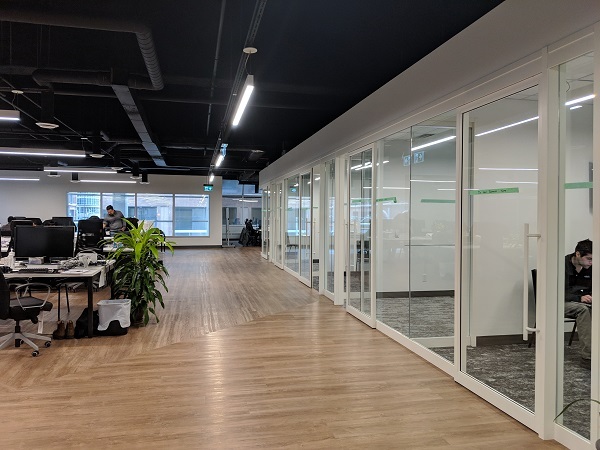 The company is currently in the process of moving into its brand new office space located near Richmond Street West and Yonge Street. 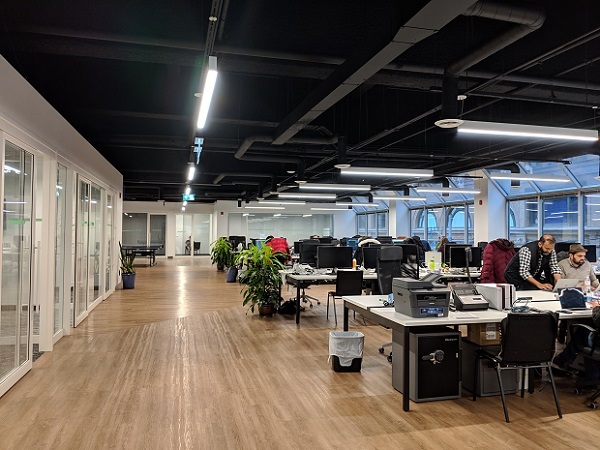 The office space will cover two (possibly three) floors and while its still in the process of being finished Takhar has plans to make it a fun, welcoming space with table tennis and possibly a pool table as well. Today the Paytm is made up of close to 100 people including systems and machine learning engineers, designers, as well as marketing, finance departments. And those employees do more than just keep the India app running. Paytm launched a Canadian app in 2017 and recently launched a merchant focused app in Japan as well. Takhar says that the company decided to create a Canadian app because it noticed that there wasn’t one central way to pay bills in Canada. According to Payment Canada’s trend report from 2017, cash was, in fact, the most widely used payment method, but only in terms of volume. It made up only 13 per cent of point-of-sale (POS) value in 2017. The report also found that consumers use credit cards to make one out of every four remote bill payments. The top payment method according to Payments Canada is online transfers which rose to nearly 48 per cent. The Canadian app doesn’t offer all the same services as its counterpart. 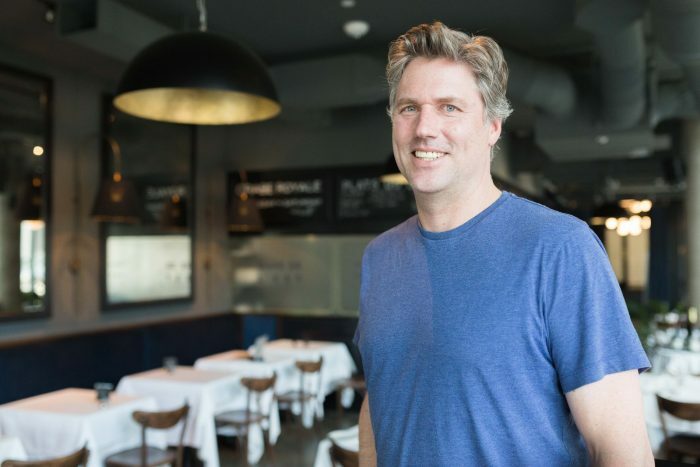 To date, it is focused solely as a bill payments app that offers reward points for making those payments. For example, users can add their credit cards, phone bills, utilities, loans and evenb rent to the app and make direct payments through there. For every dollar spent or paid through the Paytm app, the user receives one rewards point. Those points can be redeemed in a variety in different locations including Starbucks, Cineplex, Roots, Netflix and (the Canadian favourite) Tim Hortons. Takhar says Paytm is also looking to expand on those partnerships throughout this year. He has big plans for the app. Having grown its employees and office space Takhar says it is now looking to expand its Canadian user base. And while Canada’s 36 million population can never rival Paytm’s 400 million strong userbase in India, Takhar says he is hoping it will grow significantly in the next year. 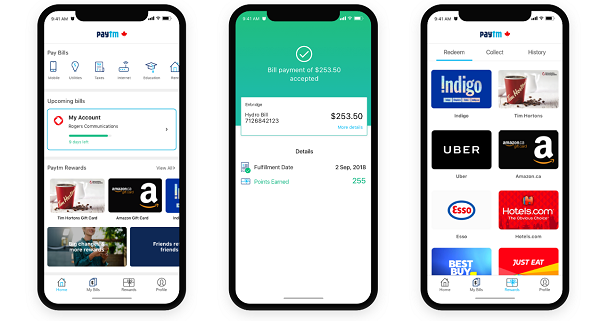 While Paytm Canada doesn’t share its exact usage, it has the goal of reaching one million users, and Takhar believes that may be possible within this year. The app has been named as a top finance app on the Apple iOS store, according to App Annie, which provides app market data. However, on Google Play there have only been around 100,000 plus downloads to date. Meagan Simpson is a staff writer for IT World Canada. A graduate of Carleton University’s journalism program, she loves sports, travelling, reading and photography, and when not covering tech news she can be found cuddled up on the couch with her cat and a good book.